AsiaSat has been Asia’s premier satellite operator for over 25 years as insightful pioneers in advancing satellite communications in Asia. They provide high quality satellite services and technical excellence, always striving to improve our company and services for our customers. In 2017, VICOSYS was assigned to develop both iOS and Android Apps for AsiaSat, it offering insight into the AsiaSat fleet and services, and quick access to footprints, satellite information, interactive calculators and a satellite finder. 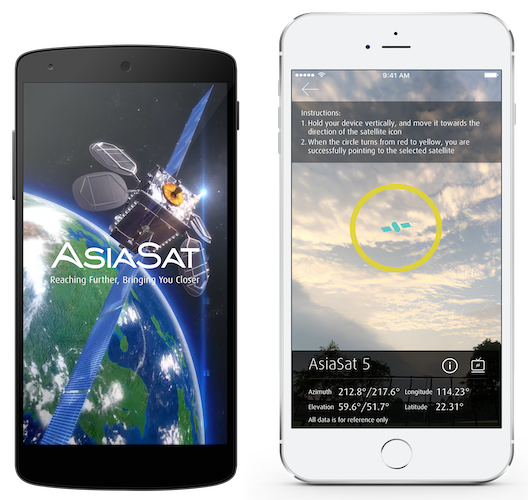 AsiaSat mobile app offering insight into the AsiaSat fleet and services, and quick access to footprints, satellite information, interactive calculators and a satellite finder – all conveniently compact and compatible with your Android or iOS smartphone. The platform also offers users convenient access to the latest news, events, services, TV channel reception information of AsiaSat.